Peterhead and Fraserburgh are further from the British rail network than any other town, new research has revealed. The completion of the new Borders Railway – which will officially be opened by The Queen next week – means the two north-east ports are now more remote than any other major settlement. 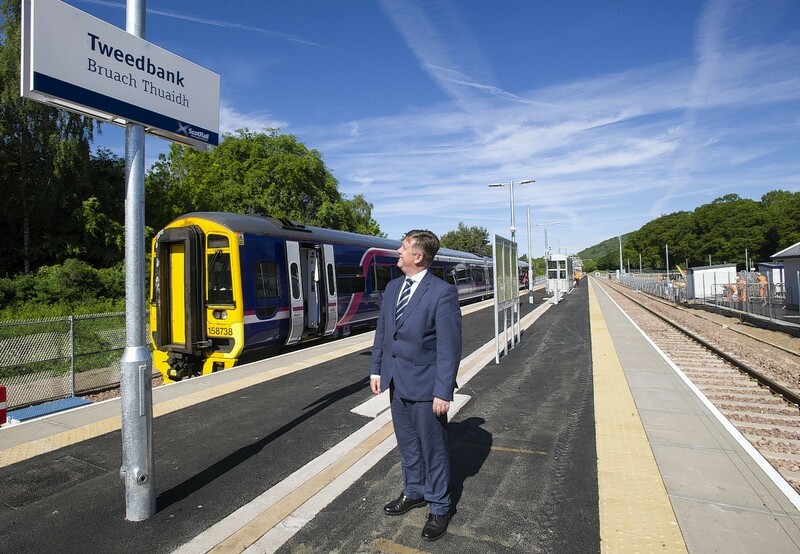 Last night railway author David Spaven said the Borders scheme – the longest new stretch of track built in a century – had stripped Hawick and Galashiels of their “unwanted status” of being the towns most distant from the network. “My new research indicates that when the Borders Railway opens, this dubious accolade will shift to Fraserburgh, 40 miles from the nearest station, and Peterhead, 30 miles from the nearest station,” he said. He hopes the case for improving transport links to the region or reinstating the Buchan and Formartine railway will be strengthened by the research. Earlier this year Democratic Independent and Green Group councillors Martin Ford and Paul Johnston backed a move to reinstate the line as far as Ellon. The project could be funded as part of a proposed £2.9billion government deal for Aberdeen and Aberdeenshire. Local railway historian Keith Jones said last night that the dream of relaying the rails into the north-east corner may never be realised. Mr Jones, a committee member of Maud Railway Museum, said: “I recollect that one of the first transport plans of Grampian Regional Council way back in the 1970s was the reopening of passenger services on the Buchan line. It has been talked about ever since but nothing has happened.